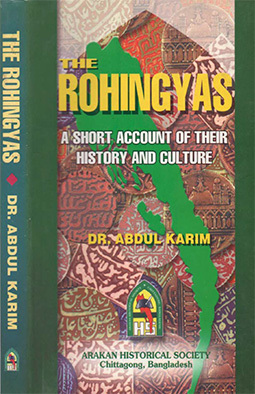 Rohingyas Genocide Information about Rohingyas genocide published in International media, Myanmar media and Rohingya media and a collection of evidences – reports, videos and images. 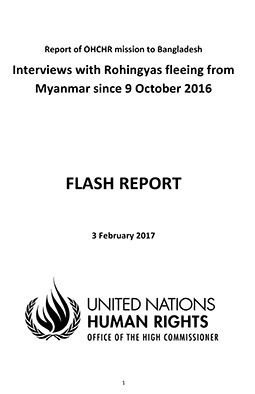 The exodus was sparked by a disturbing escalation of long-simmering tensions between Myanmar’s majority-Buddhist military and civilian government and the Rohingya people, who since 1982 have been stripped of their citizenship and classified as stateless by the government.On Aug. 25, a small group of Rohingya insurgents attacked a number of police posts in Myanmar’s northern Rakhine State. 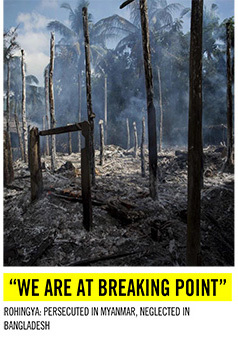 As retaliation, the military — backed by local Buddhist mobs — began burning Rohingya villages and attacking and killing people, according to international human rights workers who have witnessed the atrocities. The Rohingya people began fleeing toward Bangladesh, where they are joining more than 300,000 who had already fled previous waves of violence. And now, as with other crises — Rwanda, Syria, South Sudan — a juggernaut of refugees in Bangladesh and Myanmar poses severe health risks as clean water, food and safe shelter are scarce. Myanmar’s civilian government, led by Nobel peace laureate Aung San Suu Kyi, has been too quiet on the plight of the Rohingya. Suu Kyi, hailed as the Nelson Mandela of Asia for her political activism and decades spent under house arrest, shares power with the military. The civilian government she leads has stymied U.N. efforts to document the brutality against the Rohingya, and Suu Kyi has told diplomats she’s frustrated with the U.N.’s human rights arm. She is in a delicate political position, but her reluctance to speak out forcefully against the violence has allowed a slaughter to continue unchecked. The European Union has done little. And the U.N. Security Council is paralyzed, with Russia and China blocking action against Myanmar. In such a vacuum, the U.S. must step forward and lead efforts toward a resolution. Last week, Secretary of State Rex Tillerson forcefully condemned the Myanmar military’s violence against the Rohingya, and the State Department said it is considering targeted sanctions under the Global Magnitsky Act, which would allow the U.S. to freeze the assets of, and limit travel by, certain individuals. A U.S. delegation is visiting Myanmar and Bangladesh this week to “discuss ways to address the humanitarian and human rights concerns stemming from the Rakhine State crisis and improve the delivery of humanitarian assistance to displaced persons,” according to the State Department. We support imposing the Magnitsky sanctions, at the least, and we urge the Trumpadministration to increase pressure on Suu Kyi to stem the violence. There are many reasons why the Trump administration should want to take strong action in Myanmar: to quell the immediate attacks on the Rohingya people, to punish an aggressive military junta that maintains a tight grip on the country, to prevent potential conflict between Myanmar and Bangladesh. The most compelling reason to President Donald Trump might be the opportunity to reverse U.S. policy toward Myanmar initiated by President Barack Obama. The Obama administration embraced the idea that democracy could flourish in Myanmar, even as human rights violations persisted. In 2011, then-Secretary of State Hillary Clinton visited the nation and said she was “encouraged by the steps” the government had taken. We supported that hope then, but cautioned that Myanmar’s rulers had a long way to go to prove they were serious about real reform. Myanmar’s ruthless campaign against the Rohingya people proves that reform remains a distant hope. Before Trump departs this weekend for his first presidential visit to Asia, he should denounce the attacks against the Rohingya people. The U.S. should reinstate strong sanctions against both the civilian and military arms of the Myanmar government and put pressure on Suu Kyi to intervene to end the violence.